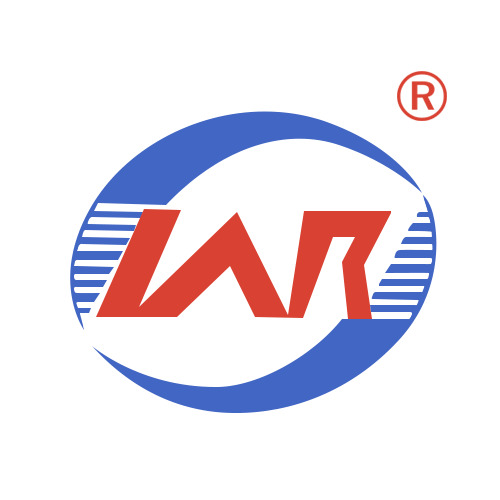 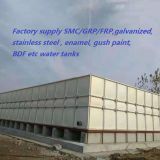 1.GRP is short of glass reinforcement plastic which is made of resin,fiber and calcium etc. 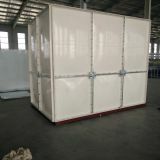 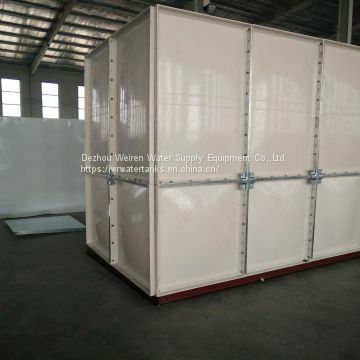 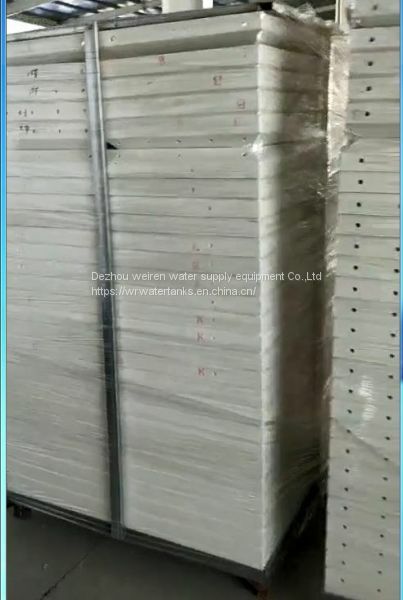 2.It is sectional structure and assembled by panels among 1000x1000mm,1000x500mm,500x500mm three sizes,customized according to the requirement. 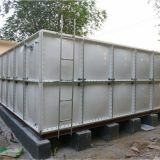 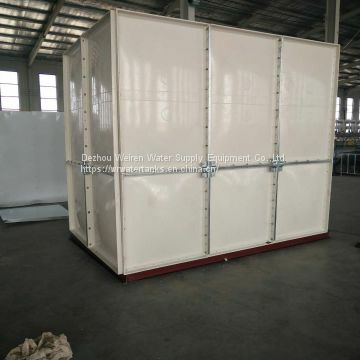 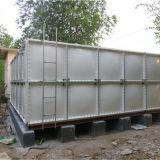 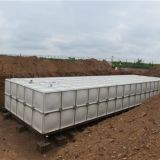 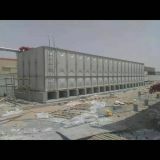 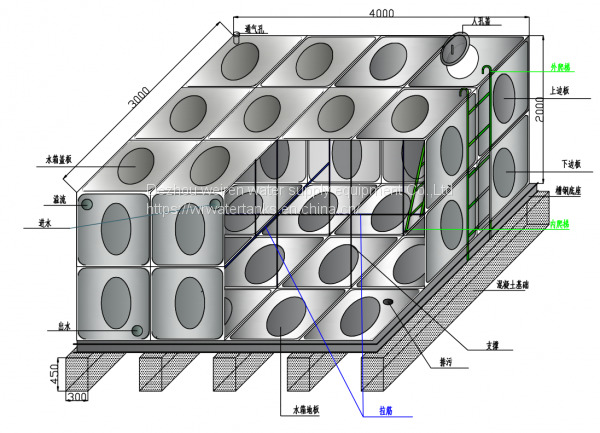 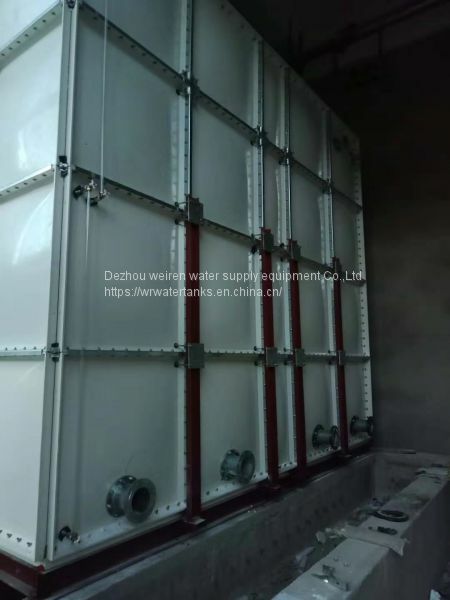 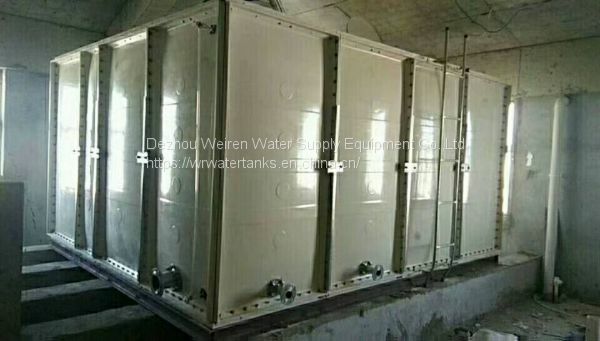 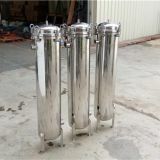 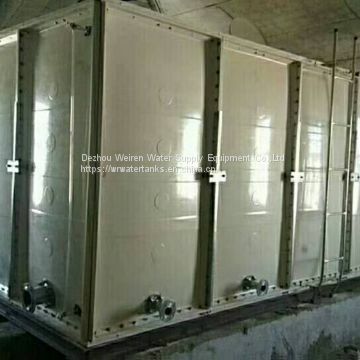 3.GRP water tank is widely used in Building,hospital,bath center,water treatment,climate-drought region etc. 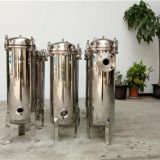 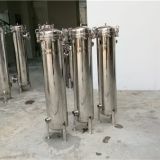 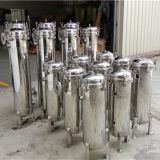 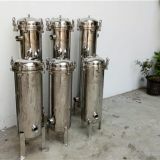 4.It is machine-molded product and all raw materials are environment friendly and hygienic to health.